I was walking on the driveway this week when I noticed the sweetest little footprints pressed into the snow. It dawned on me that those tracks would be gone in a day, and it was a reminder that my children are growing so fast. I stopped to take a picture of the little boot track and resolved in my heart to enjoy this time while they are all with me. Two of my children celebrate their birthdays this week—another reminder of the passage of time. It is stunning to contemplate how different my life will be in 10 years. Melanie and Myra will be 22 and 24; they will likely be moved out and might even be married with children of their own. Ethan and Owen will be almost 20 and probably on their own too. In ten years I will quite likely only have two children at home. It is sobering to realize how much my life will change in just a few short years. I am thankful for these reminders from God to treasure these moments. I always forget how precious these years are as I get caught up in the daily struggle. 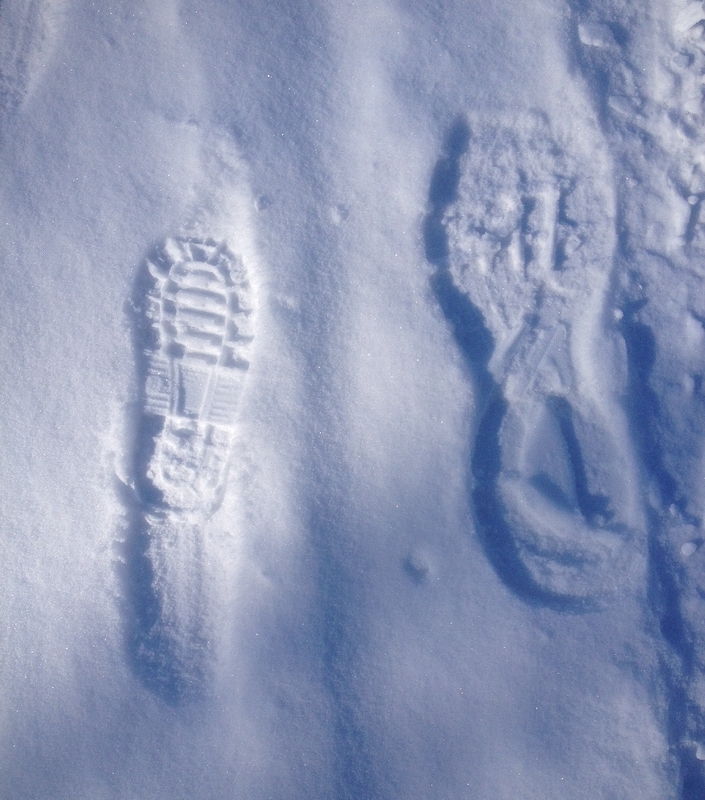 May this little boot track remind us that life is short and that the childhood years are even shorter. Let’s cherish this time.